The ancient Egyptian artist here utilised the common image of Osiris on his throne followed by Isis. The artist just had to change the image of Osiris for the image of the bull Apis. As a dead god he was inseparable from Isis. So, Apis was in Ancient Egypt a god related to the death. 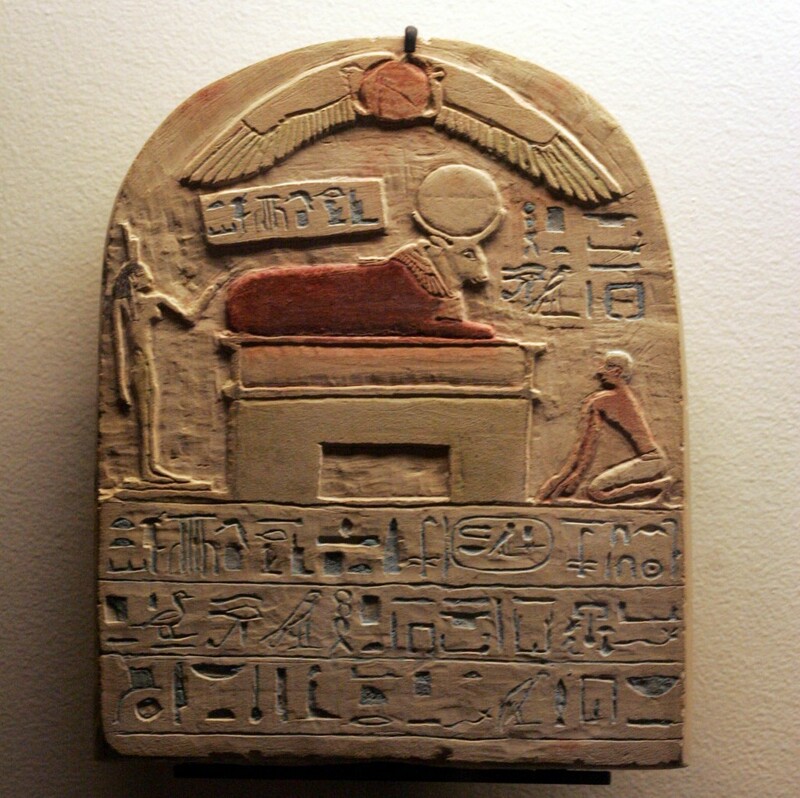 For his role as a mortuary god Apis was represented at the foot end of many coffins of Late Period transporting the dead to the necropolis. In many cases the scene includes a bird flying upon the mummy. 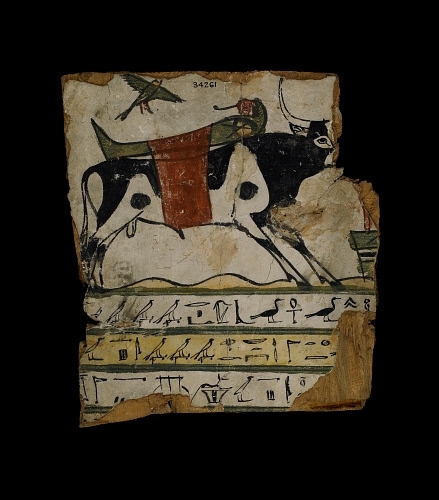 Fragment of coffin from the late Period. 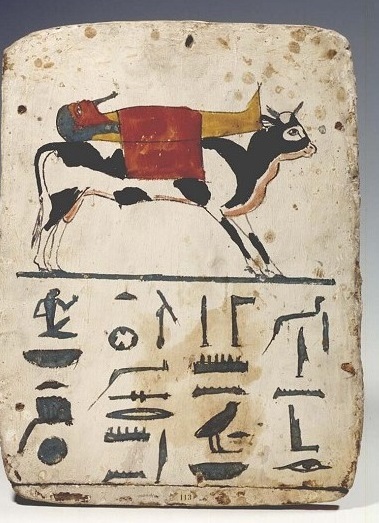 The mummy being transported by a bull and over him the ba bird flying. Photo: British Museum. 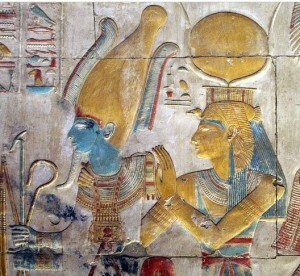 We have seen that Osiris-Apis is accompanied by Isis, his wife. We know that Isis as a kite was the mourning wife putting herself over the mummy of Osiris for giving him back the breathe and the virility. We know that the “ba bird” over the mummy could be an avatar of Isis when reviving her husband Osiris. We could also think then that Osiris was replaced by Apis (becoming Osiris-Apis), but not Isis. And the bird flying upon the mummy carried by Apis could be a Late Period version of Isis during the process of resurrection in Ancient Egypt.